Research from Experian has revealed that European businesses might lose billions of Euros as a result of errors that will slow payments when the Single European Payments Area (Sepa) system comes fully into force in 2014. Sepa attempts to makes all electronic payments in the Eurozone the same as making domestic payments. Experian’s analysis of more than half a million bank account records found that 12% of electronic payments made by businesses in the Euro region have data errors. This will slow payments in the system designed to speed things up and nullify the expected cost savings. Experian said only 65% of Euro transactions are underpinned by fully accurate destination account data. It found that 45% of SEPA-compliant International Bank Account Numbers (IBANs) stored by large European businesses do not have the valid corresponding Bank Identifier Codes (BICs) required. “These same error types will lead to payment failure when made through Sepa, costing businesses approximately €50 for each failed transaction and leaving a total bill of more than €20bn a year. An average error rate of around one in eight equates to a potential cost of €600,000 for an organisation transacting with 100,000 bank accounts,” said Experian. “The Sepa initiative is a key component to strengthening the financial foundations of the Eurozone with improved and more efficient end-to-end straight-through processing of payments. While SEPA will undoubtedly benefit organisations trading in Euros, errors in bank account details held by European businesses risk causing significant teething problems as locally implemented fixes – which have largely worked so far – are made redundant by the new common payments system. “European businesses need to analyse their account data, fix any errors and convert this information to the correct SEPA standard, to ensure suppliers, partners and staff continue to get paid on time when the new rules come into place. Early adoption is crucial. If left to the last minute, the Sepa requirements have the potential to be both disruptive and costly,” said Jonathan Williams, director of payment strategy, Experian. Back in 2008 the European Commission found in a study that: "Potential benefits from Sepa in payments markets alone could exceed £91bn over the next six years, and a further £177bn if Sepa can be used as a platform for electronic invoicing," said the EC. 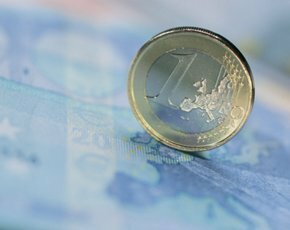 Although the UK does not use the euro, businesses with a presence in the Eurozone will need to change their processing systems if they want to make lower cost Sepa transactions, and UK banks will need to upgrade systems to support it. How clean is your data?